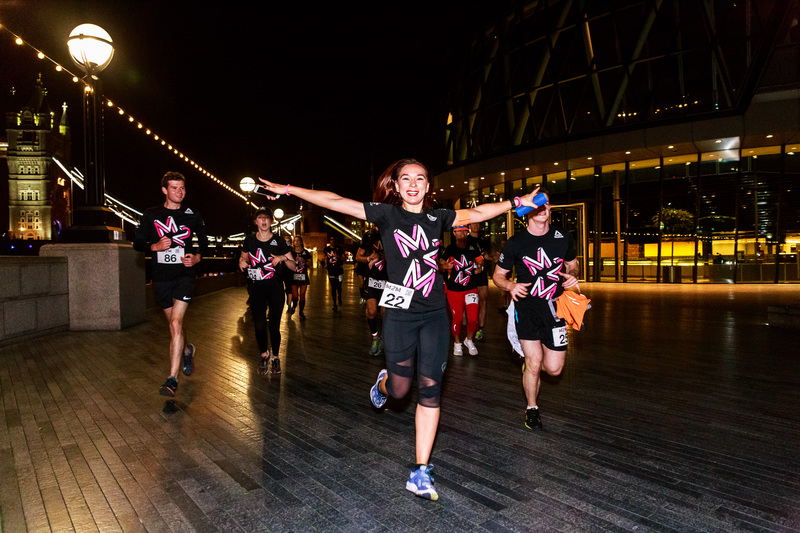 Last weekend, we teamed up with London Midnight Runners again to host #Midnight2Midnight and we’re thrilled to say the event surpassed all expectations and raised a splendid £15,000! Midnight2Midnight is 24 x 10km running loops starting on the hour, every hour, accompanied by the Midnight Runners crew. Participants simply pay an entry fee and then run one, two, several or even all of the loops! By successfully harnessing the positive energy of sport and highly motivated, young professionals living and working in London, the event brought everyone together in support of London’s most valuable asset: its young people and their future. An amazing 470 runners in total signed up to hear great music, see iconic views and a make lot of new friendships. 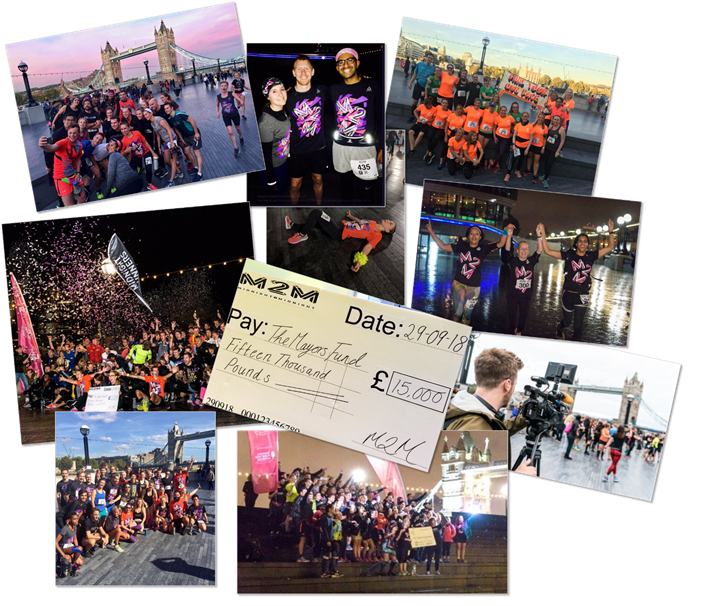 On the hour, every hour, on the hour, runners began a 10k loop outside City Hall, through scenic central London and finished in celebration back at The Scoop. Participants were free to choose how many of the 10k loops they ran, and there were 2 very energetic people that that completed an amazing 120K! More information about the run, including the routes, can be found here. We’re proud to have met such an inspirational group of people – thank you all!